We had a neat program at Galt on Saturday January 13th. The Northern Illinois Raptor Rehab and Education Foundation put on a great show in our maintenance shop at Galt. They brought along a variety of raptors and owls for us see. The birds were tethered, and the director of the foundation gave us a detailed explanation of the characteristics of each bird, their habitat, feeding habits, and what they sound like in the wild. They also put up a display of educational artifacts to further compliment the show. We had an awesome turnout with a lot of chapter members and their families enjoying the event. This was a fairly unique event compared to many others that we have done in the past. Everyone seemed to soak up the interesting facts and appreciate the various birds immensely. After the raptor show we had a delicious catered dinner in the studio. It was a time to enjoy good fellowship, and some hangar flying on a cold winter night. 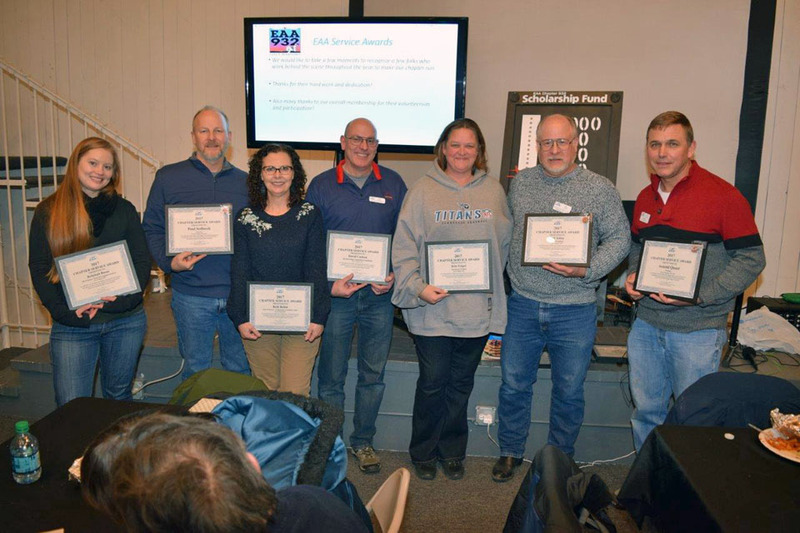 After dinner, a small amount of time was spent unveiling our tentative schedule for 2018, and handing out awards to chapter members who served in various chapter service positions throughout 2017. This was a great event to bring many of us together to kick off the new year. Keep an eye on our website for more fun to come in 2018. 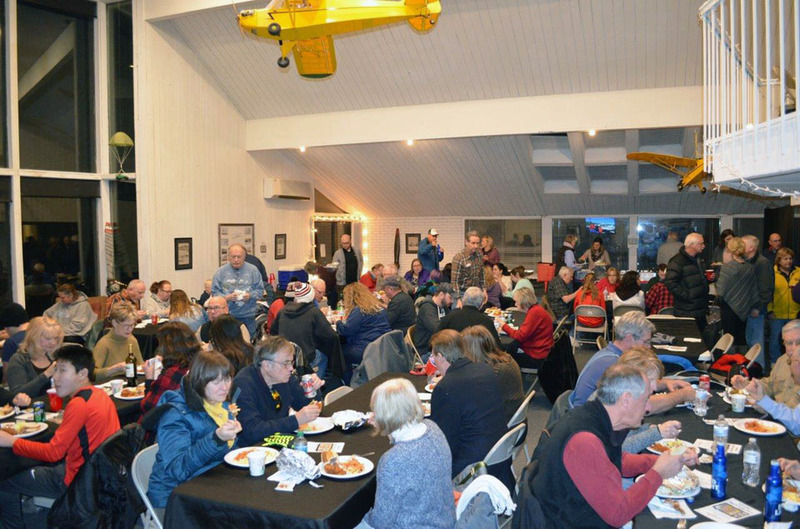 We hope that folks join us and get the word out about the great things going on at EAA Chapter 932!